Welcome to the official home-page of Nilachal Men's Hostel, Tezpur University. Nilachal Men's Hostel, or NMH as it is occassionally called, is home away from home for its boarders, from undergrads to research scholars. With a capacity of 400 students, and modern facilities, it is the ideal residence for students persuing their studies in Tezpur University. Nilachal has been operating since 30th July, 2008. The Hostel was formally inaugurated on 18th September 2009 by Sri Joseph Toppo, Member of Parliament. 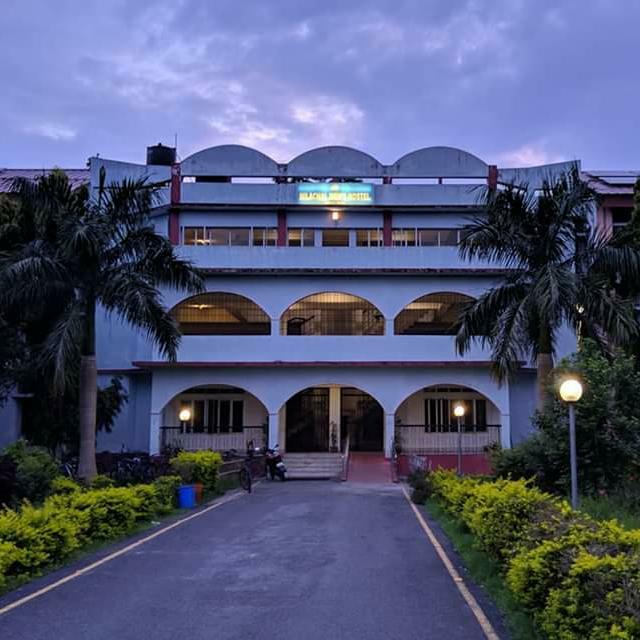 In the first few months of its construction, the hostel was called New Men's Hostel, and was later re-christened Nilachal, in honour of the Nilachal Hill, the abode of mother Godess Kamakhya. We feel the name fits with its grand structure and beauty. The hostel celebrates two festivals each year. In the Autumn semester we celebrate Enajori or the Annual Hostel Get-together and in the Spring semster, we organise the Hostel Senior's Farewell. Apart from this we organise Saraswati Puja in early Spring, and participate in inter-hostel cometitions such as the March-Past, choir competition, and more. Department of Food Engineering and Technology.